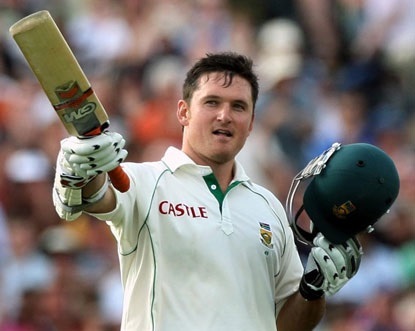 Graeme Smith has retired from International cricket completely. 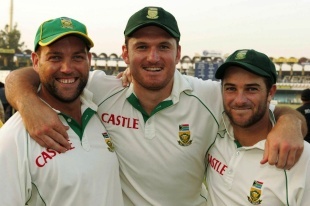 The surprise announcement on Monday caught everyone off guard and left the Proteas with a massive void. 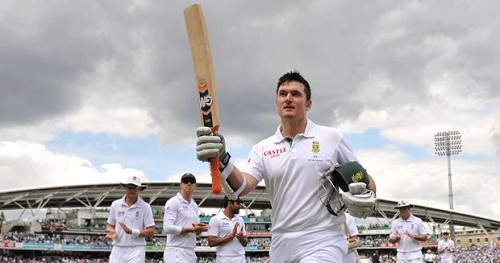 Of course there will be those that argue with the timing of the announcement or with their own dislike of the most successful test skipper in history, but I choose to respect what he has done for South Africa. He came in as a brazen loud mouth and developed into a captain that led his team to the top of the game. In honour of our retiring captain, I picked 10 moments from his test career that stood out as memorable. It is a little bit ironic, but one of Graeme’s finest moments for South Africa came in a losing cause. South Africa had won a test series in Australia for the first time in history and Biff’s leadership was a huge force behind this. But in Sydney was incredible for a different reason, Biff was battered and bruised by Mitchell Johnson and broke his hand in the process. In the fourth innings SA were asked to survive and although the series had already been won, Biff came to the wicket in a show of courage so bold that even the Australian fans respected it. He survived for 29 minutes in excruciating pain and almost took SA to one of the finest draws ever. He also underlined his willingness to suffer pain for his teams betterment! Graeme had just been made captain after the shambolic Cricket World Cup in 2003 and shortly thereafter he took a South African side to England. There was still numerous corners stating that he should not be captain, but after the 277 at Edgbaston in a draw, Biff went to the home of cricket and scored the highest score by an overseas player as he scored 256. 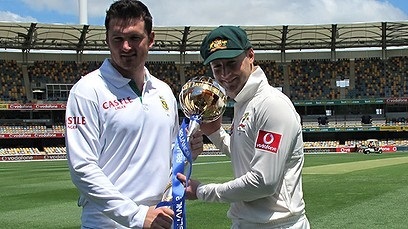 South Africa went on to win this test and with it take the lead of the series by a lead of 1-0. Ultimately the series was drawn, but Graeme underlined to the world that he would be a leader by example. 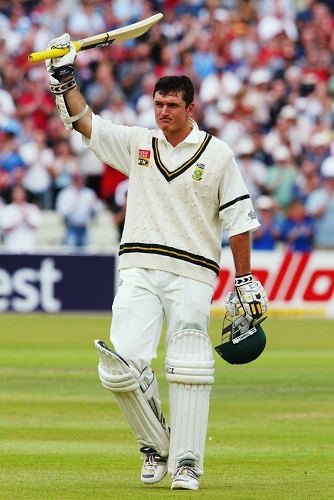 This was Graeme Smith at his brutal best. It was a test that underlined so much of the way he captained with bold leadership in the test that saw him surpass Hansie Cronje as the longest serving captain. Smith and Mckenzie blugeoned the hapless Bangladesh bowlers to all corners and ended day 1 with 405 without loss. Biff of course scored his fourth double ton. South Africa went on to win the test by an innings and 205 runs, one of the biggest wins of our test history. Before Graeme was made captain he underlined what would become a trait for him, his ability to bat out extensive and long partnerships. His concentration for long periods of time was top class and this was the first triple century partnership that Smith was involved in. Of course he scored 153 which ultimately meant South Africa could not lose the test (We never lost a test when Biff scored three figures), but we won by an innings and 150 runs. He eventually ends his career with 5 triple century partnerships, which equals the record of Don Bradman as the most in test cricket. Although the design of this was horrendously flawed and unsuccessful, it left many people completely disappointed, it was telling that in 2005 when a World XI played against the Australians in Australia, the man chosen to lead the composite side was in fact our very own Graeme Smith. It is a testament to the distance he had come after two years as captain that the ICC thought he was the best in the planet. Of course we wont talk about the game itself though. Although this series will be remembered for the Boucher wicket, or the flatest track in test cricket that produced 8 centuries, it should also be remembered for the series in which South Africa doggedly saved the first test (161 overs scoring 269) before sweetly winning the second two. 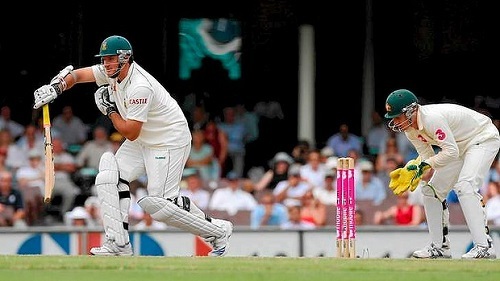 In the second test Biff scored a 148 to give SA a 51 run lead that ultimately led to a 8 wicket victory. In the third Biff was again led by example as he notched 104 as South Africa defeated the Windies by an innings despite Brian Lara’s 176. Smith finished the series with his third century in successive tests by scoring 126 Antigua. After a match saving century at Lords, Smith’s second there, in the first test, Graeme underlied his ability as arguably the greatest fourth innings batsmen in test cricket. 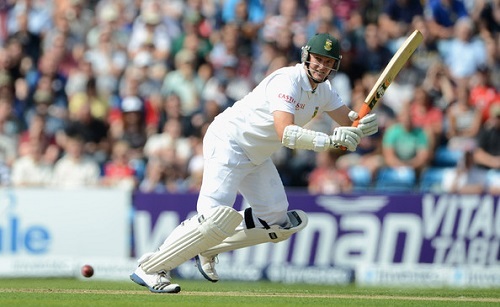 South Africa had floundered to 93 for 4 in a chase of a difficult 283. 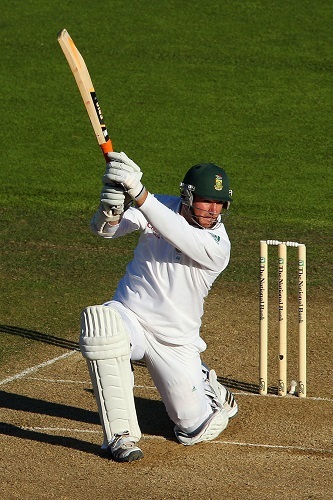 But Smith would have non of it and led South Africa to a victory with a defining innings of 154. The victory would be the crowing point of Smith’s captaincy so far as it confirmed the series victory in England, something that had not been done by South Africa before. 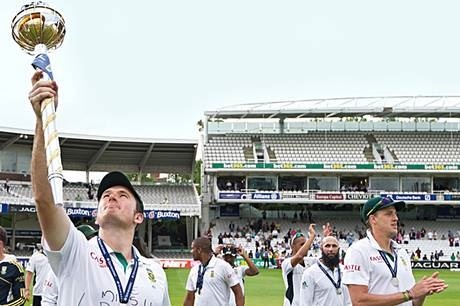 2008 was a massive year for South African cricket following the series victory in England, South Africa headed to the home of the enemy, Australia. Ive already spoken about this before in the batting with a broken hand section, but it was his scores of 62 and 75 in the second test that cement a great year for Graeme as he tops the scoring charts for the year with 1656 runs. More importantly was that many of those runs came in high pressured fourth innings chases where Graeme almost literally dragged his team over the line! In a test that will long be reminded to Australians, South Africa were dismissed for a paltry 96 in the first innings (Smith top scored with 37), but quickly rolled out the Australians for an embarrassing 47. 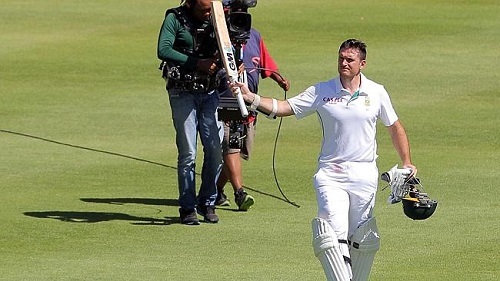 Smith then once again produced the class he has in a chasing situation and on a difficult pitch scored an unbeaten century that guided South Africa home. It was a classic for more than one reason. South Africa had surprisingly lost the first test and went into a second test with venom. Having bowled Pakistan out for 99, something that England did earlier in the year and still lost, South Africa wanted to kill the game off immediately. Biff did just that with his fifth and final double ton in test cricket and his fifth triple century partnership. It was a reminder of the immense work rate and effort our courageous captain was able of and something that I personally will miss a lot. So those are my ten. As a captain Biff has won 53 tests, we moved to the top of the rankings and won series in Australia and England twice! He may have left our team now, but he did a fantastic job while at the helm. We salute you Biff!